I REALLY didn’t want to like the SK-II Facial Treatment Mask because they are so darn expensive! 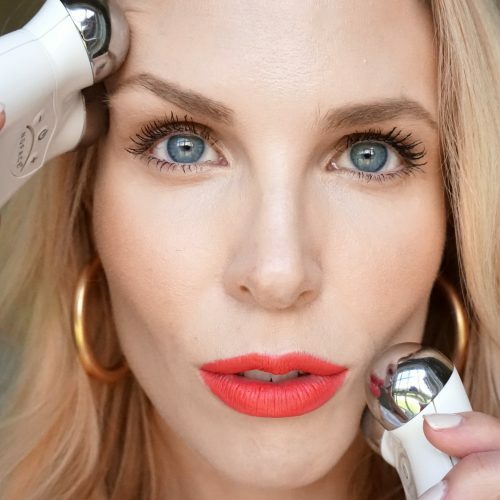 You may have heard of SK-II, hawked by famous faces Cate Blanchett and Kate Bosworth, and known for their use of Pitera essence. 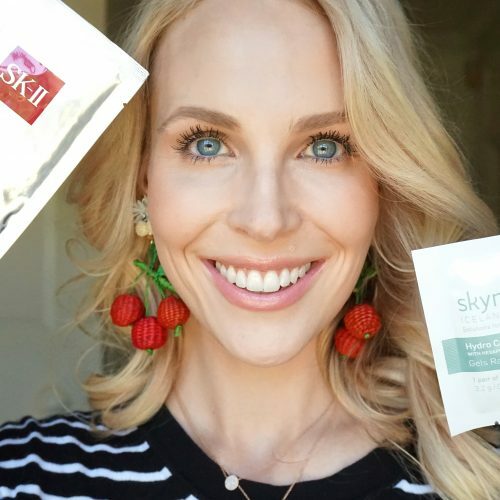 The SK-II treatment masks are frequently mentioned by celebrities as a “must have” skincare product (Note: I am very susceptible to corporate marketing schemes). Every time I read about them I was reminded of (1) how very much I wanted to try one, and (2) how I was never going to try one because they are so darn expensive ($135 for 10 masks). So! Imagine my excitement when a sample of one mask arrived in a goody bag several months ago. 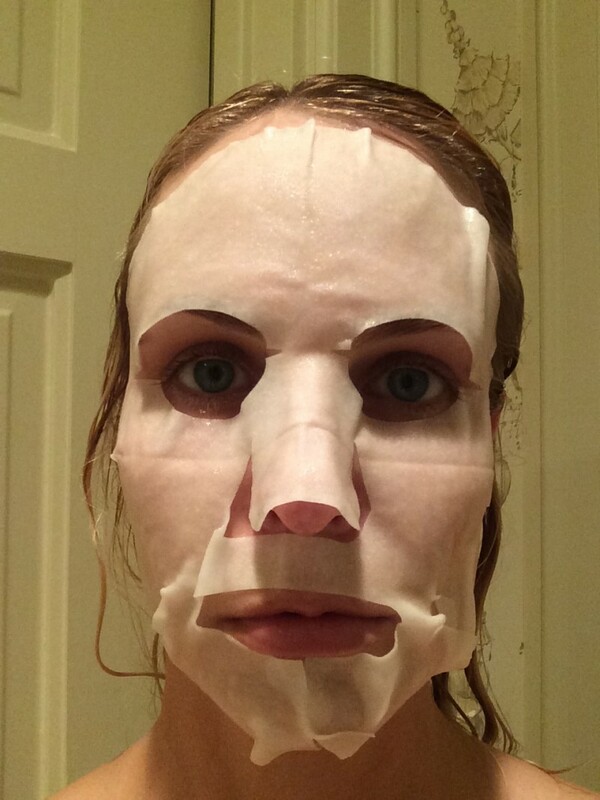 But then I was afraid to use it– I mean, what special occasion could possibly merit using up this precious mask? Over the 4th of July, though, I spent a few too many hours by the pool sipping cocktails and celebrating our country’s independence, and toward the end of the weekend I was looking BEAT. 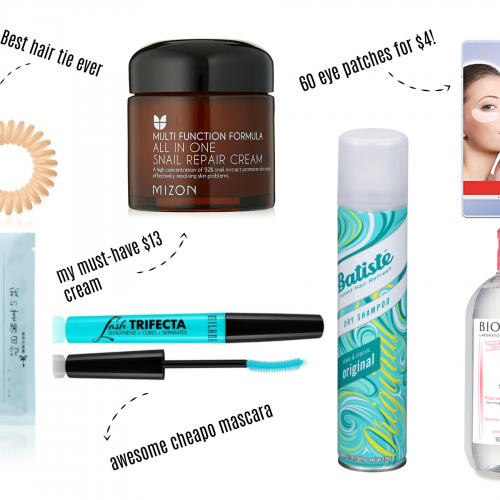 Puffy eyes and face, dry, flaky skin around my nose, enlarged pores…and we still had a party to go to that evening! So I decided WTH, I will use up my precious SK-II mask because it was free anyway. Want to see something scary? My husband was not prepared for the Jason Voorhees situation. Thank goodness the children were napping. Anyway, I’m sorry to report that the results were immediate and pretty phenomenal. All puffiness disappeared and I just felt and looked refreshed. 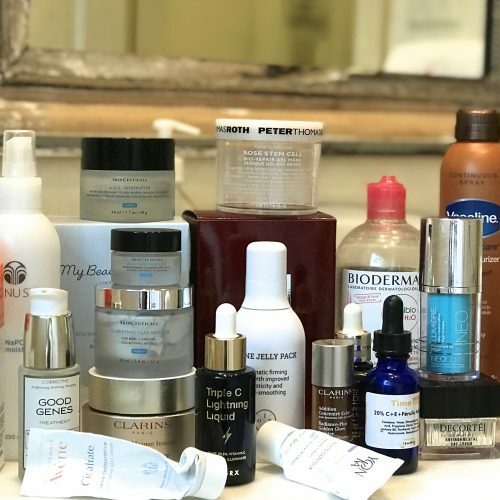 Dry patchiness was gone, my pores had miraculously become invisible, and there was a noticeable radiance restored to my skin. And at the party that night, I happened to run into an ex I hadn’t seen in years and I got three separate, sincere compliments on my skin (not from the ex, but I’m sure he was thinking it). 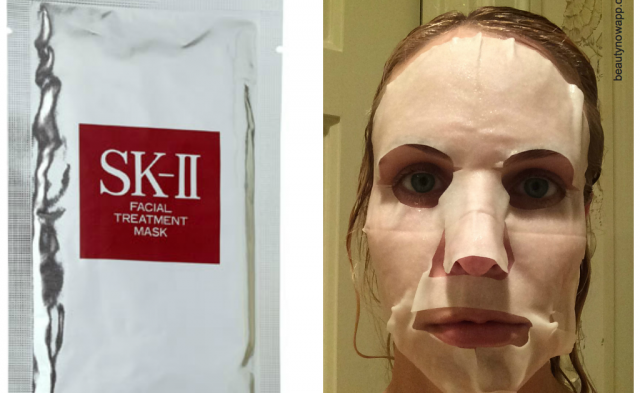 Overall: highly recommend the SK-II Facial Treatment Mask, despite its high price point. –The mask itself was very wet, dripping in an aloe vera type substance. There was also a bunch of residual liquid left in the bottom of the package, so I poured that out on my hands and spread it over my neck, chest and arms. 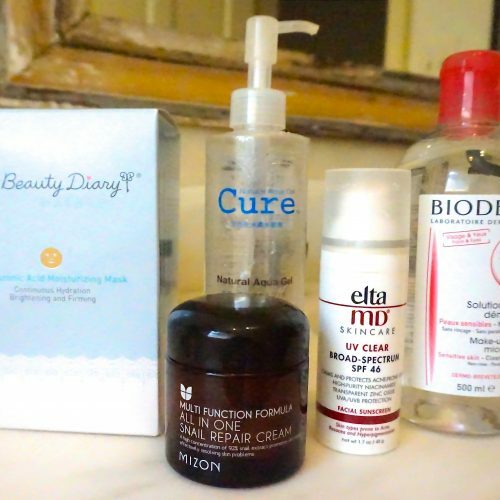 –I later read online that you can actually use each mask TWICE! Keep the liquid in the bottom of the package, and after you use the mask, carefully fold it back up, put it back in the package, and keep it upright in a sealed plastic baggie. Then you can add a few drops of water to it and get a full use out of the mask again! So $135 for 20 uses instead of 10 is slightly more reasonable. –I left mine on for 15 minutes because I was in a hurry, but apparently you can even sleep all night in it. Also, you don’t have to be lying down while wearing it (although it would be much more relaxing if you did). I was able to brush my teeth and blow dry my hair while wearing the mask. –SK-II says you do not need to rinse your face after the mask, but I found the goo made my makeup ball up a little bit. So I recommend splashing cold water on your face afterward and patting dry if you want to put makeup on right afterward. 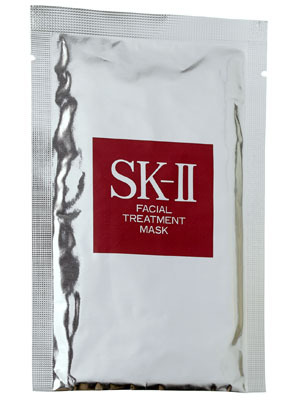 You can purchase the Facial Treatment Masks at the fabulous SK-II counter at Saks. And if you stop by Saks Galleria Houston for the next four Saturdays (July 12, July 19, July 26, and August 2) from 1-4 p.m. there will be live music and events!